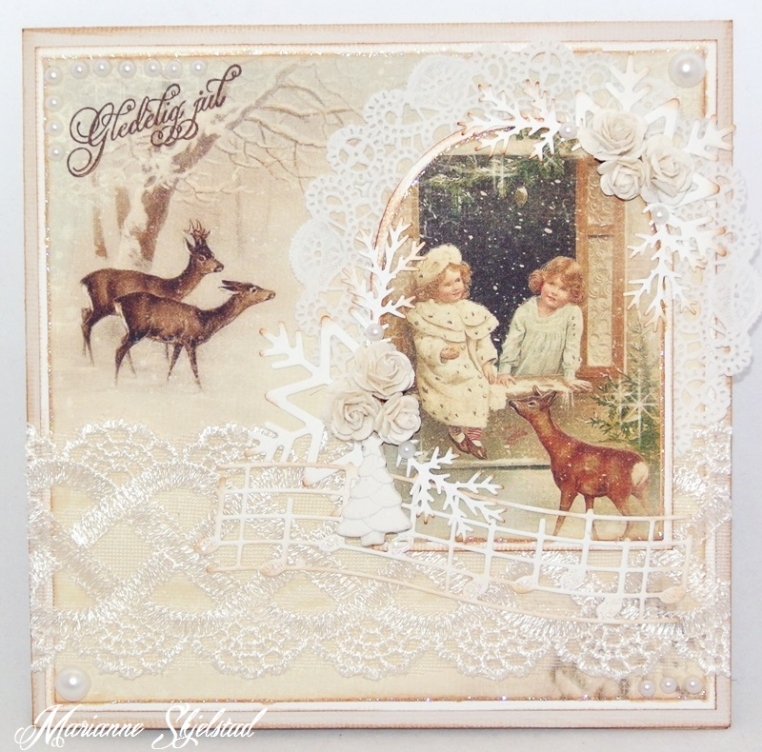 When I saw this lovely picture on the sheet Images I knew I had to make a card using the sheet Deer in 6×6″ as a background. Since I wanted the pictures to be in focus I used only white decorations. 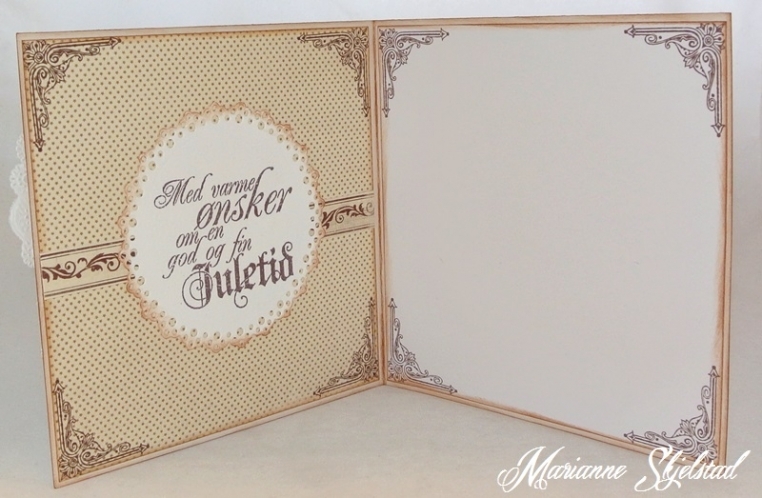 For the inside of the card I have used a small sheet with stars.